Here’s one for the books! This 28 March–2 April 2017, book a discounted GrabCar to/from the PICC, Putrajaya, and not only will you skip the traffic and parking, but also score a FREE MPH membership and “lucky dip” at the fair! 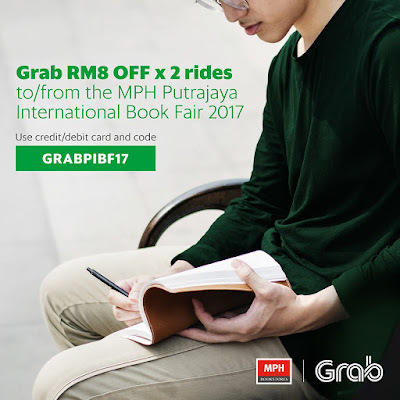 Promo Value: Users enjoy RM8 off x TWO GrabCar rides. Limited to 5,000 redemption. Step 3: Book a GrabCar ride to your preferred pick up or drop off with your desired promo code. This promotion is only valid for pick up or drop off at Putrajaya Internation Convention Centre.